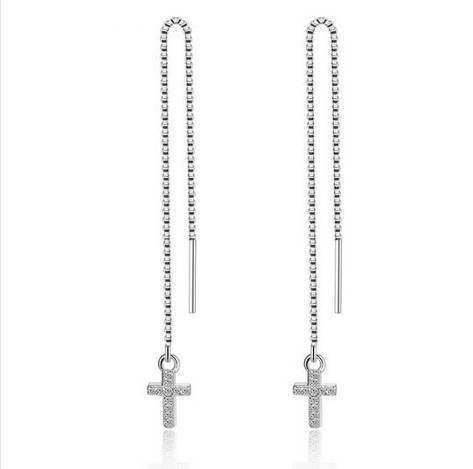 Tiny Silver Long Chain Drop Cross Earrings have a very modern flowing look. 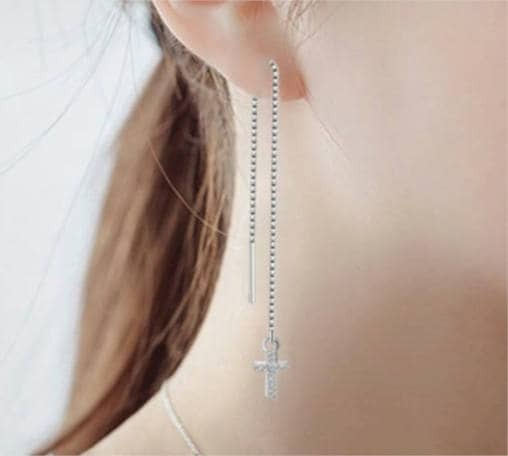 Each chain is 4 1/4" long and with a drop length of about 2-2 1/2". 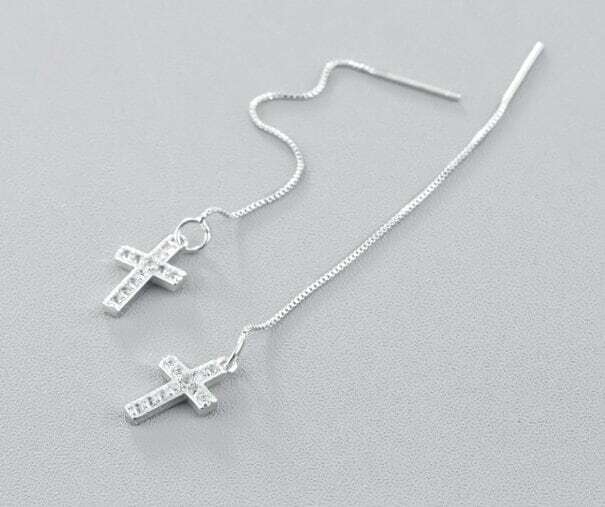 The small Cross is just over 3/8" long x 1/4" wide with a very narrow box chain. Just perfect to put on. 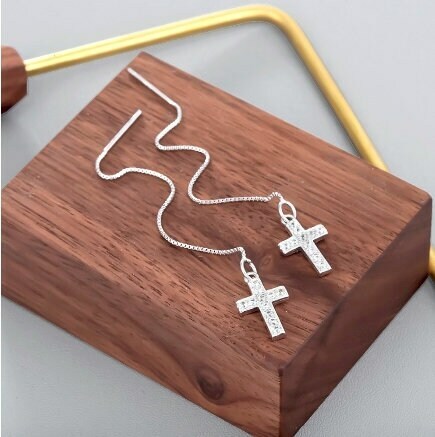 Each cross has a rhinestone accent surface finish. 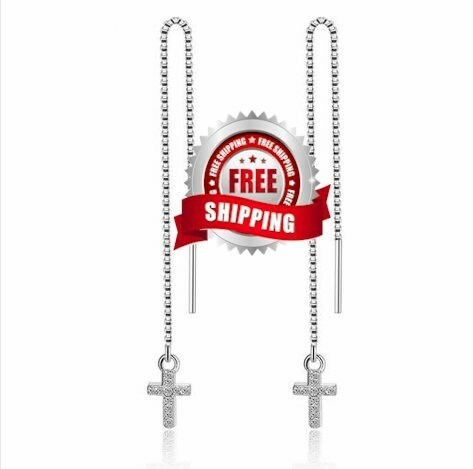 The chain and cross are Silver Plated with a High Luster finish.